When I edit my profile using Account Settings, I have the option to upload 2 pictures. One is the "Profile Photo" and the other is the "Cover Photo (profile and dashboard)". The page recommends using a picture that's at least 790 by 350 pixels for the Cover Photo. 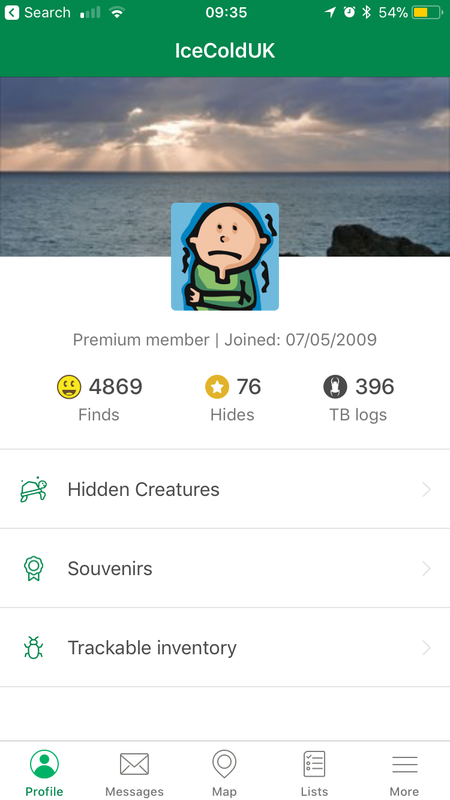 But as far as I can tell, the Cover Photo isn't used anywhere; both my profile and dashboard show my Profile Photo in a 48 by 48 pixel area, as do cache pages that I've posted logs to. Is the Cover Photo used for anything? I think those are the 2 separate pics you can upload. One small, one background. That's all I can figure out. But as far as I can tell, the Cover Photo isn't used anywhere; both my profile and dashboard show my Profile Photo in a 48 by 48 pixel area, as do cache pages that I've posted logs to. It shows if you select the "new public profile experience". I don't see it in the "old page". Hey, thanks for asking and answering. I just put a Cover Photo on my Profile. Cool. In the new-style public profile, the Profile Photo covers part of the Cover Photo, which seems like a bad design. So I've created a new Cover Photo with the content in the right half; now the 2 versions don't overlap. In the new-style public profile, the Profile Photo covers part of the Cover Photo, which seems like a bad design. Its the same as in FaceBook where the profile photo partially covers the cover photo. Be sure you are using the NEW public profile. If there is a blue banner, follow the link to access the “new public profile”. Once you select it, it should remain your default choice. Then the cover photo is visible! It also shows up on the official app.